Something to look forward to: Windows 10 is getting its second major update this year right on schedule as October draws closer. Although some new features are subtle, the overall user experience may be greatly improved. Since the introduction of Windows 10, Microsoft has moved away from large service packs in favor of releasing two major builds each year. 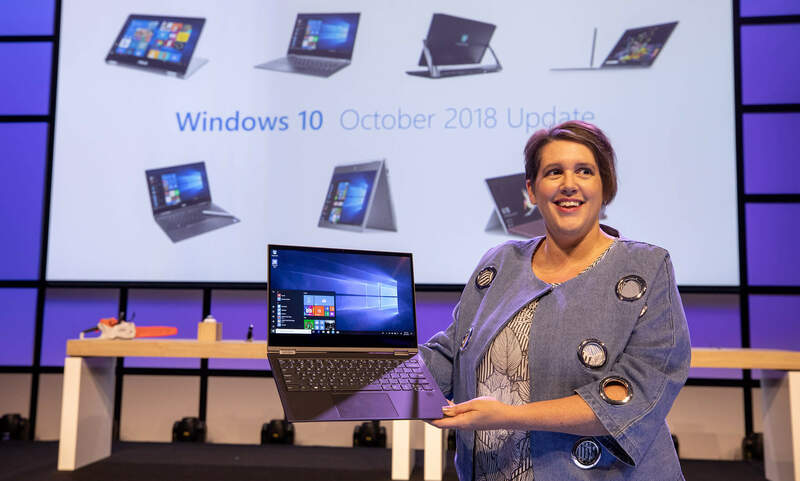 At IFA 2018, Microsoft has shared that the next major update will be called the Windows 10 October 2018 Update. Notable features coming in the next update include a dark mode for File Explorer as well as Cloud Clipboard. Should Cloud Clipboard still not meet your needs, check out 12 alternative clipboard managers. Updates to Notepad that have been included in Insider Preview builds are also expected to officially implemented in the October 2018 update. Additionally, linking Android phones to your Windows 10 device will become much easier. With the help of the Your Phone app, users will be able to easily access messages and files on their smartphones from the comfort of their Windows machines. Smarter update procedures will also be enabled to prevent restarts during undesirable time periods. Microsoft has added an AI algorithm to better learn how people actually use their computers so that updates can be installed during times when users are away. Hopefully this will eliminate the frustration of having work interrupted by those pesky updates once and for all. Microsoft has not given an exact date yet for the delivery of its next major update. Last year, the Windows 10 Fall Creators Update otherwise known as build 1709 arrived on October 17. Server updates are expected to arrive concurrently with updates to client machines. As the last few changes are being finalized, Microsoft is already working on its next update carrying code name 19H1. This next iteration is expected for April 2019.